The Plateau Fire burns on August 16, 2018. Wildfires will increase in frequency and intensity as climate change affects the West. Western water managers and communities are bracing for a future of difficult decisions in water use. Stronger droughts and weaker snowpacks are leaving many questions lingering. The Western Water Assesment, in its research of how climate change and variability affects the region, wants to help find answers. Seth Arens, the organization's Utah research integration specialist, says the Western Water Assesment is working with communities across the intermountain west, including Cortez, to address the future of water management. Arens will be speaking at Cortez City Hall on Thursday at 6:30 p.m about his research and work with the City of Cortez. 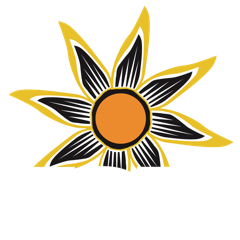 He joined KSJD’s Daniel Rayzel to discuss the importance of including intermountain communities in conversations about water and why cities like Cortez are interested in the assessment's research. Disclosure: The City of Cortez is an underwriter of KSJD.